One of the many styles we offer directly from Laise Adzer's catalog, still produced with all her magic by the same textile house in the ancient and exotic city of Fez! 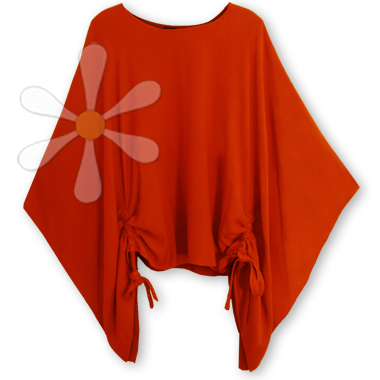 This beauty is kimono-sleeved poncho-style top that's as cosy as it is special. The Sama ('heaven' in Moroccan) drapes like kitten-soft angel wings, and has I20" straps set about halfway into the fabric so that you can ruche as much or as little as you like. A light and perfect layer all by itself or over a sleeveless top on balmy evenings... a yummy treat you can toss on any time!